In June 2014, LICADHO – the Cambodian League for the Promotion and Defense of Human Rights – released a report detailing widespread abuse of suspects and prisoners. Here, Naly Pilorge, Director of LICADHO, calls for the government to act on its commitment to address torture, including for the establishment of an independent National Preventive Mechanism. On 20 June 2014, during a meeting with Surya Subedi, the UN’s Special Rapporteur on the situation of Human Rights in Cambodia, Cambodia’s Interior Minister Sar Kheng stated that Cambodian authorities would not tolerate the practice of torture in detention. Six days later the Cambodian League for the Promotion and Defense of Human Rights (LICADHO) issued a report to mark 26 June, International Day in Support of Victims of Torture. The report, based on more than 500 detailed allegations of abuse by officials in police stations and prisons, revealed that there had been no palpable change in the type, frequency and severity of abuse reported in recent years. Inmates continue to describe being beaten, kicked, slapped or punched, often until they were bleeding and unconscious. Objects used during beatings included guns, sticks, iron rods, stun batons and electric cables. One of the primary purposes of abuse continued to be the forced extraction of confessions or money. LICADHO also received reports of inmates being dragged on the ground by their hair; being forced to stand on one leg for prolonged periods; of guards standing and stamping on bodies and faces; objects being forced into mouths; cigarette burns; forced prolonged kneeling, including in direct sunlight; choking; and the use of electro-shock weaponry for torture. Cambodian authorities’ response to the report was typically dismissive. Kuy Bunsorn, Director-General of the Interior Ministry’s General Department of Prisons claimed that there had been no cases of torture in any of the country’s prisons “from the past up to now,” and noted the existence of national mechanisms working to combat torture and ill-treatment. Yet there is no independent national human rights institution in Cambodia.The Cambodian Human Rights Committee (CHRC), established by the government in 1998 to investigate and provide remedies for human rights violations lacks independence from the executive. Its chairman is a close advisor to Prime Minister Hun Sen and a high-ranking member of the ruling Cambodian People’s Party (CPP). Despite ratification of OPCAT in 2007, Cambodia has failed to establish a National Preventative Mechanism. Instead, in 2009 the Cambodian government established an inter-ministerial committee consisting of representatives of government ministries. The body is headed by Interior Minister Sar Kheng. As LICADHO points out in its report, not only does this inter-ministerial committee fail to meet basic requirements of independence, it has also proved itself to be wholly inefficient and ineffective appearing to have done very little of actual substance. At a December 2013 conference on the establishment of an NPM, its members were unable to elaborate on the committee’s achievements to date. At the same time government representatives at the conference continued to express their continued opposition and, in some cases, their outright hostility to the creation of an NPM. LICADHO’s report also documents prisoner-on-prisoner abuse, which often takes place under the direct order or with the acquiescence of prison authorities. Additionally, LICADHO believes that conditions of detention in some places, including the denial of appropriate medical treatment, may amount to cruel, inhuman or degrading treatment. Of particular concern are reports that people experiencing mental health problems are at risk of being targeted for abuse in prison and police custody. LICADHO’s partner organization the Transcultural Psychosocial Organization (TPO) Cambodia, the leading Cambodian NGO in the field of mental health and psychosocial interventions, has documented abuse consistent with the types of allegations received by LICADHO, and has identified the long term effects of abuse on the mental well-being of their clients. TPO’s clients in prison who have suffered or continue to suffer torture or ill-treatment have reported symptoms which include headaches, anxiety, depression, disturbed sleeping patterns, hearing voices, constant fear, being quick-tempered or angry, and having startled reactions. Some TPO clients who experienced abuse have attempted suicide. In response to LICADHO’s report, Interior Ministry spokesman General Khieu Sopheak said the government has been taking action against torture and, according to its own data, has seen a decrease in the number of cases year on year. LICADHO disputes this assertion. Indeed, even as Cambodian officials strove to dismiss LICADHO’s report and deny the existence of abuse in detention, LICADHO’s researchers were recording new testimony of brutality. In the month of July alone, 18% of those interviewed reported that they had been subjected to abuse in police custody. LICADHO believes the true figure to be much higher. LICADHO recently met with one former prisoner who described the cruel punishments meted out to fellow inmates made to stand in the blazing sun for hours on end and forced to drag their bodies along the concrete floor repeatedly. A prison official later freely admitted that these were usual punishments for minor infringements, adding, “it’s OK…It won’t kill them.” The inmate we spoke to paid 200,000 Cambodian Riel (approximately $50) to his cell leader to protect himself from abuse by guards and other inmates. If the government has indeed been taking action against torture, then such actions are well hidden. LICADHO is not aware of any successful prosecutions of law enforcement officials for torture related crimes in recent years and, crucially, there is no independent body tasked with receiving and dealing with complaints against the police. Those who wish to pursue claims of abuse in prison fear they will be subjected to further abuse and, even for those who do manage to file administrative complaints, there are no mechanisms in place to ensure an impartial and appropriate review. Furthermore the system is plagued with corruption. If Cambodian authorities are serious about stamping out torture in detention, then instead of dismissing LICADHO’s report, they should carefully consider our findings and recommendations which offer practical, concrete suggestions to eradicate this all too common practice. These include the preparation of specific anti-torture legislation, the establishment of a truly independent NPM and a civilian oversight body which can deal effectively with complaints against the police and other law enforcement personnel. For as long as Cambodian authorities ignore and reject evidence of torture in place of detention and whilst those who order, facilitate or commit torture do so with impunity, Cambodia’s true commitment to the absolute prohibition of torture and ill-treatment will remain in serious doubt. LICADHO is a national Cambodian human rights organization. Since its establishment in 1992, LICADHO has been at the forefront of efforts to protect civil, political, economic and social rights in Cambodia ensuring the Cambodian government and its institutions respect the rights of its citizens. Building on its past achievements, LICADHO continues to be an advocate for the Cambodian people and a monitor of the government through wide ranging human rights programs from its main office in Phnom Penh and 12 provincial offices across Cambodia. 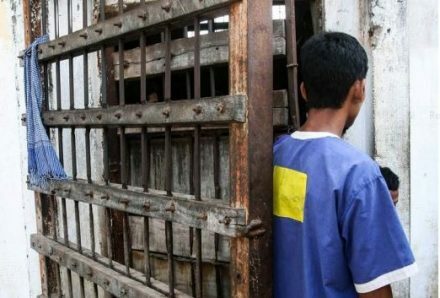 LICADHO’s prison project is charged with monitoring 18 of Cambodia’s 28 prisons, providing a variety of services to inmates within these prisons – from paralegal aid to social assistance and medical treatment. Information gathered during prison visits is used to advocate for better prison conditions and for action in specific cases. Please note that in its external blogs PRI seeks to provide a platform to other experts and NGOs. Their content does not necessarily reflect PRI’s own views or position.